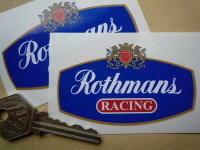 Rothmans Red Racing with Gold Outline Sticker. 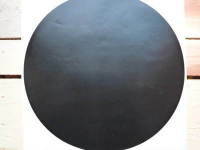 6", 8", 10", or 12". 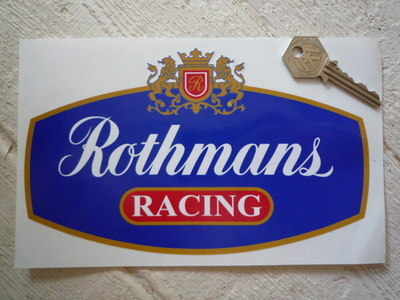 A single, Rothmans Racing sticker. 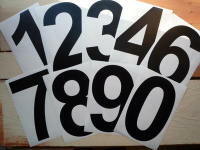 Printed in full colour & machine cut to shape. Available either With or Without a small white border. 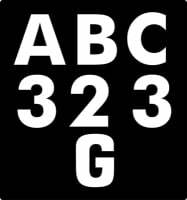 Available as either a 6" sticker for £2.99 (sticker measures 150mm by 90mm), a 8" sticker for £3.99 (200mm by 120mm), a 10" sticker for £4.99 (250mm by 150mm), or a 12" sticker for £5.99 (300mm by 180mm). Rothmans Red Racing with Gold Outline Stickers. 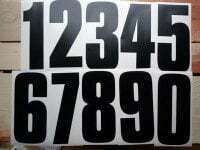 1.25", 3" or 4" Pair. 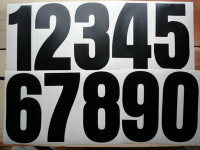 Rothmans Red Racing with White Outline Stickers. 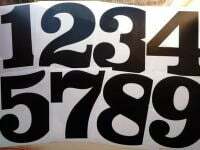 1.25", 2", 3" or 6" Pair. VSD Magazine Logo Sticker. 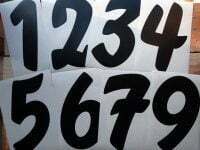 4", 6", 8" or 12".